Murter island is one of those gorgeous islands that’s so easy to get to you wonder how it can keep itself from being overwhelmed by tourists. Located just up the coast from Sibenik (about 30km) and Vodice, it’s connected to civilization by a drawbridge just 35 feet long. And it’s only open for a half hour or so in the morning and afternoon. The island itself takes up some 19 sq.miles, big enough to have a handful of interesting towns–Tisno, Hramina, Betina and Jezera. For people who love boats, Murter is a nautical paradise. In addition to some great marinas, it’s the jumping off point for boat excursions nearby Kornati Islands National Park. You can even rent a boat to get there yourself. Slanica Bay is the place families go to enjoy a sandy beach; Tisno, site of the Garden Festival, one of Croatia’s major music festivals, also has great swimming as well as Betina, which has almost 100 small family shipyards dedicated to to building traditional Croatian wooden boats. Besides catering to mariners, sun-worshipers and nature lovers, the island also has a thriving olive, fruit and wine growing economy and the local almonds are delicious! 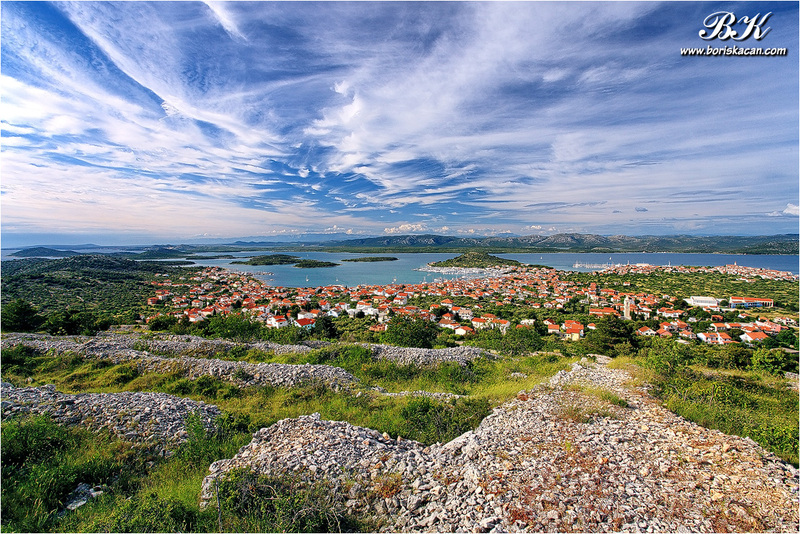 If you are heading up to Zadar from Sibenik or Split, Murter is a wonderful weekend sojourn…or more! –another just terrific town site, great photos, easy to use, packed with info!